The index opened up around 8550 and stayed positive within a narrow range of 40 points and closed a DOJI at 8550.70, gain of 36.90 points. The broader market was also strong, with 929 advances to 597 declines. 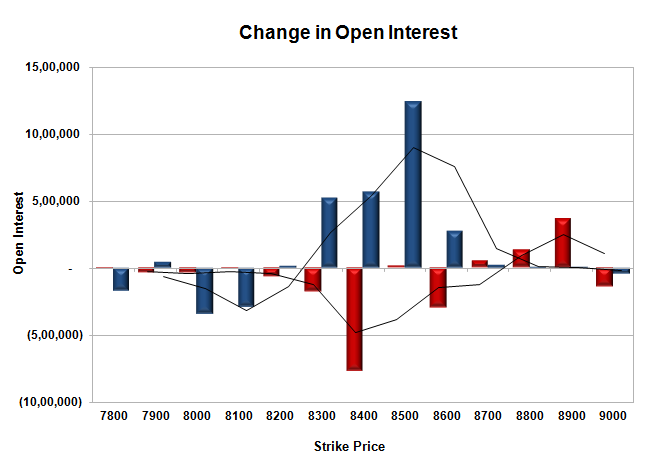 The range as per OI Table is 8300-8700. 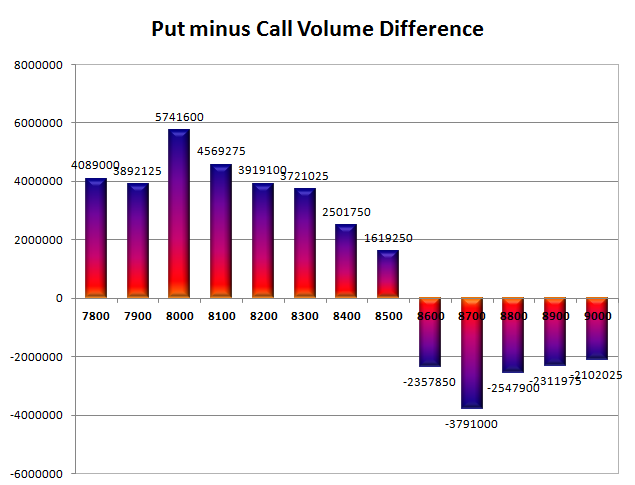 Call option 8700-8900 added huge 5.54 lacs OI with short covering seen at 8400 and lower strike prices. Put option 8600-8300 added huge 25.98 lacs OI with profit booking seen at 8100 and lower strike prices. 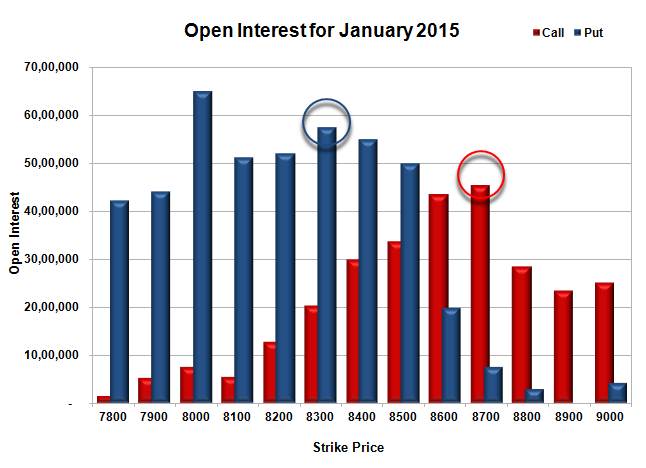 Nifty Open Interest is at 2,00,74,375 down by 625, with increase in price, most probably small short covering. Bank Nifty Open Interest is at 21,37,750 up by 11,525, with increase in price, most probably long build-up. FII’s bought small 0.33 lacs Futures, which includes 1785 contracts long build-up and 455 contracts short build-up, with increase in net OI by 2240 contracts (includes 46764 longs to 45434 shorts for the day) and the Average Price comes to 8942.27. FII’s Index future open contract as on date is 607926 Longs to 101436 Shorts, net long 506490 up by 1330 contracts. Initial support now at 8500, with huge OI addition of 12.36 lacs for the day and below that at 8400 with OI of 54.90 lacs. Initial resistance still at 8600, with OI of 43.45 lacs and above that at 8700 with OI of 45.47 lacs. Day Range as per Option Table is 8471 - 8633 and as per VIX is 8472 - 8630 with 8551 as the Pivot.